Knopf Books for Young Readers, 9780375866678, 352pp. The acclaimed author of Flipped delivers a powerful and healing story that’s perfect for the millions who watch the Olympics or anyone who’s ever thought that something was impossible. 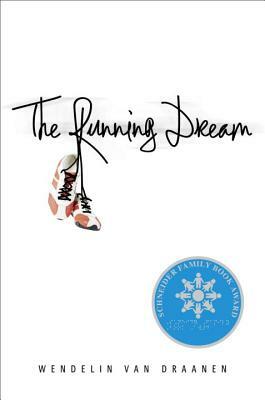 Readers will revel in the story of a girl who puts herself back together—and learns to dream bigger than ever before—after she’s told she’ll never run again. WENDELIN VAN DRAANEN recently ran her first marathon. She was struck by the people with physical handicaps who were also running and was inspired to write this book about overcoming adversity with courage and grace and strength. Van Draanen was a teacher for many years before turning to writing full-time. She is the author of many beloved and award-winning books. For middle graders she’s written Swear to Howdy, and the Sammy Keyes mystery series. For teens and tweens, there’s Flipped, The Running Dream, Confessions of a Serial Kisser and Runaway. And for younger readers, check out The Shredderman quartet and the Gecko and Sticky. Wendelin Van Draanen lives in Central California with her husband and two sons. Find her on the web at WendelinVanDraanen.com or on Twitter: @WendelinVanD.